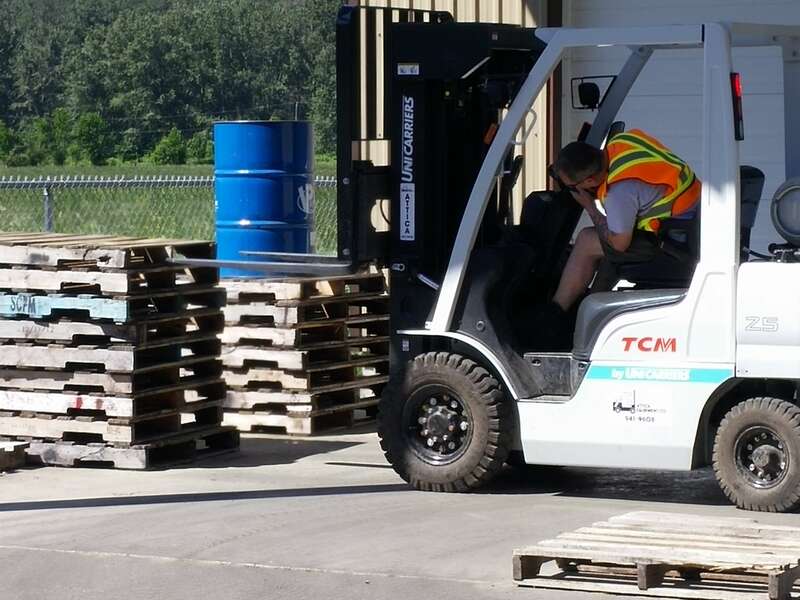 BC Industrial Work Place Training - Fork Lift, Safety & More! We’re changing attitudes, behaviors and skills, one person at a time. Whether you’re behind the wheel, working at high elevations, conducting a safety observation or dealing with a dilemma, our blended learning solutions can raise safety awareness, skills and provide critical knowledge to enhance personal and company safety and culture. 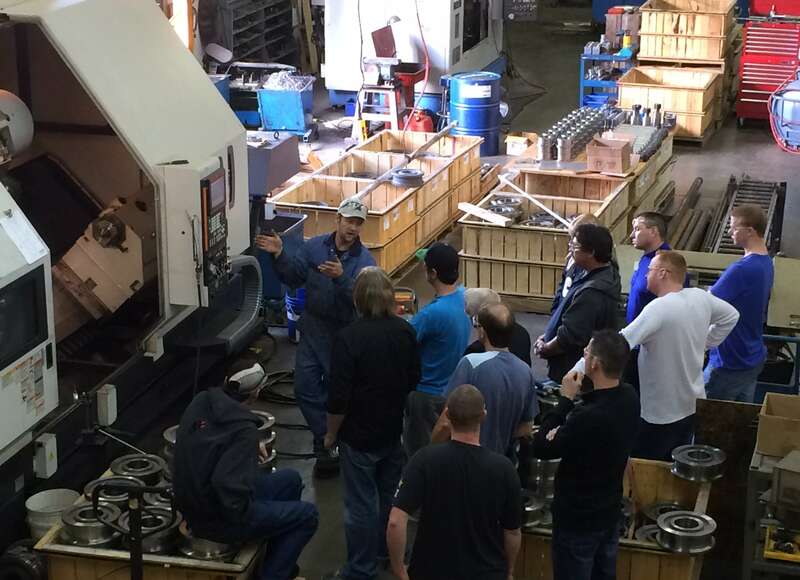 At Mussell Crane Manufacturing, we’re dedicated to industrial work place training solutions in BC that make an impact – helping protect lives, develop skills, competencies and empower employees thus enhancing productivity for companies / industries. Mussell Crane Manufacturing recognizes the need for Workplace Health and Safety Training, locally and beyond. Employers have a responsibility to provide information, direction, and supervision to their staff to protect their health and safety. Providing a qualified training course to their staff is one key way an employer can fulfill that obligation. At Mussell Crane Mfg., we provide a wide variety of certified workplace training programs including but not limited to Forklift Certification, Overhead Crane Operation, Scissor Lift, WHMIS 2015, Fall Protection, and Basic Rigging. Not all Workplace Training is created equal and having a hands on aspect in each training course should be a priority. Our training encompasses both theory in a classroom setting as well as the practical application and testing for certification. 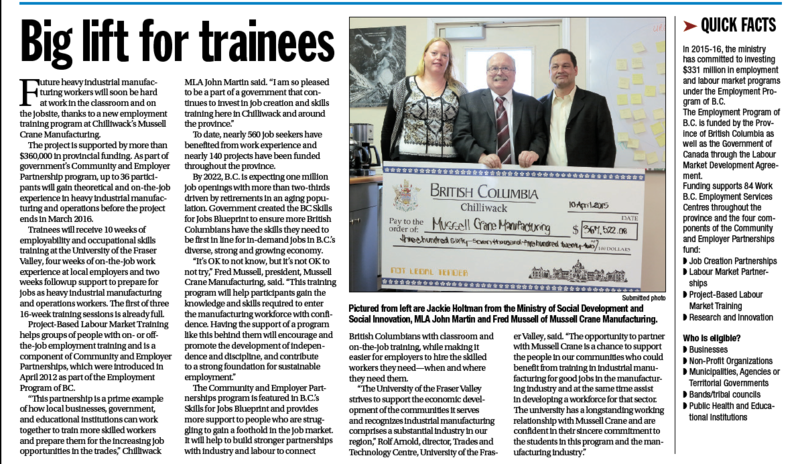 We can provide workplace training on site or at our training centre located in Chilliwack, British Columbia. We can tailor the training to be site specific and meet the needs of your work environment with a hands on approach. Mussell Crane Manufacturing is your partner in building and cultivating a standard for safety culture that leads the industry. 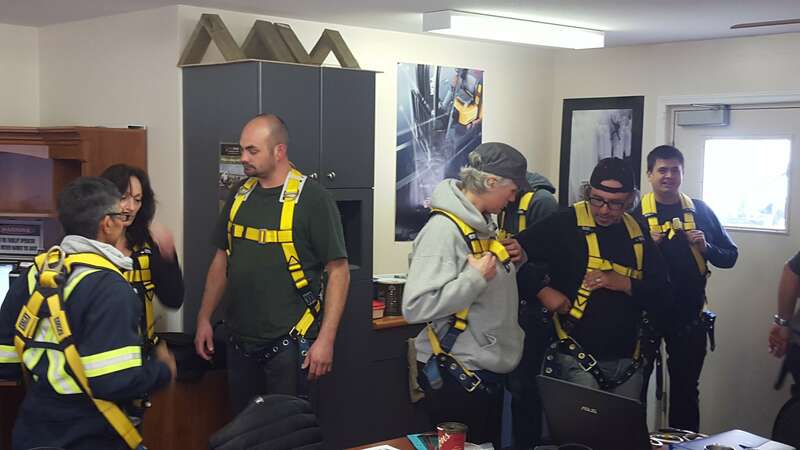 Our certified instructors continually deliver an up to date curriculum that meets with the current WorkSafeBC Regulations. Our courses provide pertinent information that meets with Federal and Provincial guidelines and legislation; providing a thorough knowledge base for students.